I’ve been keeping a large number of shots from my trips to Alaska on my hard drives without actually doing anything useful to them, like proper editing and posting. So, sort of as an intermezzo between my lens and latest DSLR goodie impressions/reviews, I thought I’d do just that. My first set was taken on my first trip to Alaska, and looking back the very best one. It’s sometimes funny how you appreciate certain experiences only by comparing them to others; i.e. the photo trips following the first one. 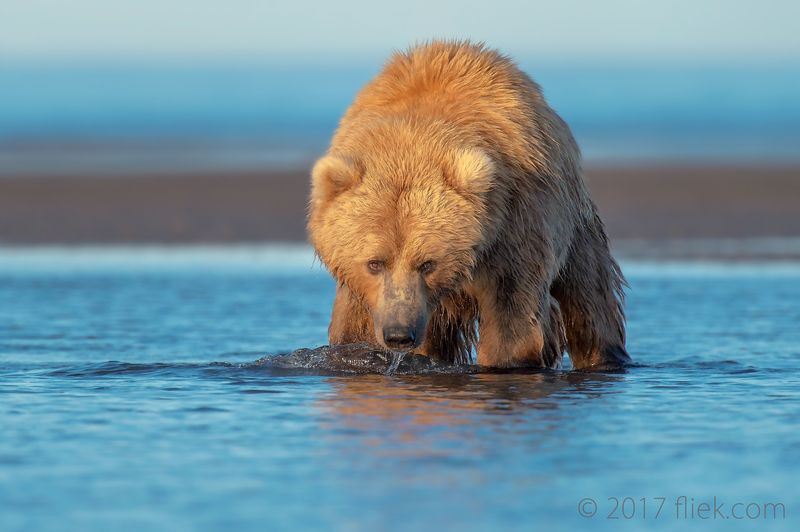 In this case I remember the coastal brown bears fishing right in front of me (albeit at a safe distance… well, safe in the sense that I made it back alive, not necessarily safe in more absolute terms). Or the humpback whales jumping out of the water next to our boat at less than 50 meters away; and the captain saying that in his entire career he’d never seen anything like it (and he did sound quite sincere). All amazing natural life experiences, and ones I’d like to share in this and the coming posts. Nikon 500mm f/4G on Nikon D4S + TC-14E II (700mm), f/8, 1/1250 s., ISO 800, +0.7 exp. comp.